IF YOU'RE AN RN with an associate's degree in nursing (ADN) or a diploma, are you hesitant to pursue a bachelor's of science in nursing (BSN) degree? Have you been asked if or when you plan to get your BSN? If your answer to either question is yes, this article is for you! It outlines the key reasons why nurses need a BSN and discusses how seasoned nurses can overcome common barriers to returning to school for a higher degree. Part 2 of this article will present the nuts and bolts of choosing an RN-to-BSN nursing program, whether a traditional, online, or combination program. It's no surprise: Transformation has come to the nursing profession. Six primary forces are influencing the move to a BSN as the degree required for entry to practice. 1. The 2010 Institute of Medicine (IOM) report, TheFuture of Nursing: Leading Change, Advancing Health, called for 80% of the nursing workforce to be educated at the BSN level by 2020.1 It reported that in 2010, the United States had 3 million nurses; of these, about 40% held an ADN or a diploma. Because the average time to transition from the diploma or ADN to the BSN was about 10 years, accelerating the process was strongly encouraged. These six forces are very unlikely to change due to politics or changing demographics. The requirement of a BSN degree for entry to practice has become a reality compelling action by RNs who don't yet have this degree. In essence, a degree matters for future job security. Common barriers to returning to school include practical issues such as a lack of time or money. Also at play are other psychosocial issues such as age, attitude, and ability. Being self-aware and assessing these factors can help you make good decisions about your career path. * Can I afford to retire in the next 5 to 10 years? * If I can't afford to retire in the next 5 to 10 years, has my employer guaranteed (in writing) that my job and unit will be secure into the next decade or longer? Some employment contracts requiring nurses to obtain a BSN degree in the next 5 years have grandfathered current employees: They aren't required to earn a BSN degree provided they stay on their assigned unit until they retire and their units remain a viable functioning unit of the institution. * Does my employer provide tuition reimbursement? If so, how much? Many schools now let students attend one class per semester until they complete their degree. When this is the case, most tuition reimbursement dollars will stretch across a couple of years, and the degree can be completed with very little out-of-pocket expense to the nurse. If your employer doesn't offer tuition reimbursement, perhaps you qualify for a student loan. If not, you may qualify for a tuition discount or scholarship. * Can I afford not to return to school? What's the probability that you can withstand the test of time to reach retirement without losing your current job for any reason-for example, the unit closing or you becoming disabled? These fears can be highly motivating. Ability. Do you think you're not capable of learning new information or succeeding in an advanced or high-tech curriculum? If so, answer one question: Did you pass the state boards? The answer is obviously yes. If the state board of nursing recognizes you as an actively practicing nurse with an unencumbered license, you're quite capable of completing a BSN program of study, whether it's online or in a traditional classroom. Skills. This is a two-directional issue. Some nurses may think they know how to practice nursing without additional skills; others may think their skills are inferior due to advances in technology or some other significant variable such as poor time management. Ask yourself these questions. If you answer yes to them, your skills can only benefit from returning to school. * Do you need continuing education to succeed in your job or renew your RN license? * Do you have a key skill or specialty that requires a BSN for recognition or certification? * Can you do online banking or shopping? Can you book travel plans online, use a search engine, or type a letter using a computer keyboard? You can build on these basic computer literacy skills to become a more aware and skillful nurse through formal education. * Do you want to improve on an area of practice? If your answer is yes, you have a goal for going back to school. Attitude. Although you've already persevered and accomplished much to become an RN, do you really despise the idea of returning to school? Do you really think patients, your employer, and team players wouldn't benefit if you advance your education? If so, take one more challenge and ask yourself if you want to make a difference in others' lives by understanding how quality and safety impact outcomes through evidence-based nursing practice. The final decision about going back to school depends on your being open to making positive changes in your career. Other life responsibilities. Time, family, bills, and personal health are everyday pressures. School is merely one more to add to the list. But if you're still unsure, compare the stress of unemployment to the temporary stress of going to school. * Step 1. Don't wait for another birthday to come and go before you apply to a program and enroll in that first class. Just get started. * Step 2. Seek funding through tuition reimbursement, financial aid, loans, and scholarships. Make appointments to talk with human resources personnel, your nurse manager, local college financial aid representatives, bankers, and RN-to-BSN program directors. Determine the best way to fund your education. If you need to work full-time while going to school, ask your nurse manager to support flexible scheduling to engage him or her in your goal for continuing your education. * Step 3. Surround yourself with others who've completed their BSN degree and those who need to finish it. Use one another as a support system. Identify each other's strengths and weaknesses to make a plan for success. If you sign up for a program as a team, support will be readily available as you advance toward the degree. The whole is greater than the sum of the parts! * Step 4. Gain support for technology. You'll need access to a computer, the Internet, a printer, and maybe even a fax machine. If you don't have these tools at home, you can find them at a worksite or a local library. Most publicly funded institutions allow access to computers, printers, and gathering spaces. Some churches and community centers also accommodate students who are pursuing education to serve others. * Step 5. Believe in yourself, right from the start. Know that you can succeed! Self-affirmation is an important aspect of accomplishing any goal. * Step 6. Solicit support from family, friends, coworkers, and everyone else you know. They want you to be the best you can be and admire tenacity. 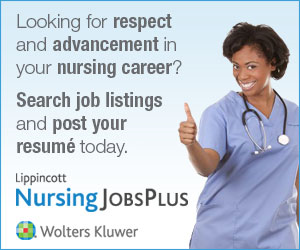 The time is right for you to join the ranks of nurses with BSN and higher degrees. Take time to examine the opportunities in your area and seek support from family and friends to help you achieve your goal. 6. University of Colorado Hospital. Post-baccalaureate nurse residency program at University of Colorado Hospital. http://www.uch.edu/find-a-job/nursing-program/Graduate-Nurse-Residency-Program.